Debbie Apalucci is the founder and director of Touch of Class Dance Studio. First opened in 1978 as a small, one-room facility, the business now encompasses two locations, five teaching rooms, and thousands of students. In 1996, Debbie was hired by the Philadelphia 76ers to create and coach the Sixers Dancers. She transitioned the team from a cheerleading squad to a dance team that was a benchmark for the NBA. During this time, she appeared on ESPN TV’s “Pro Dance Special” filmed in Las Vegas, and choreographed performances for the team with notable artists such as Will Smith, Chubby Checker and Beyoncé. Debbie also instituted another NBA first – a Junior Dance Team. Her love for young dancers prompted her to organize the team and develop it into an integral part of the Sixers in-game entertainment. Debbie continued with the Sixers organization until 2015. In 2009, Debbie was hired by Kenilworth Films to choreograph three production pieces for the movie, “Standing Ovations”. She went on to direct the live summer tour in 2010, which included 15 cities and culminated in red carpet appearances. Memorable moments include the charity performance in Nassau, Bahamas where Debbie produced a show with the cast along with local talent to benefit the Ranfurly Home, a local orphanage. Debbie’s students have won numerous national competitions, traveled and performed in major cities throughout the country, and many have become professional dancers, dance instructors, and dance studio owners. Students who “survived Apalucci” are appreciative of the drive, energy, attention to detail, and ability to work as a team that was instilled as part of their Touch of Class training. Debbie continues to manage the studio, but is happiest when spending time with her husband, family, and three wonderful grandchildren. Debi has been the Co-Owner/Director of Touch of Class Dance Studio since 1993. She is a graduate from West Chester University with a Bachelors Degree in Elementary Education. Debi received her early dance training under the direction of Debbie Apalucci, and quickly became a part of the senior teaching staff. Due to her evident love for the art, she wanted to open her own dance studio. 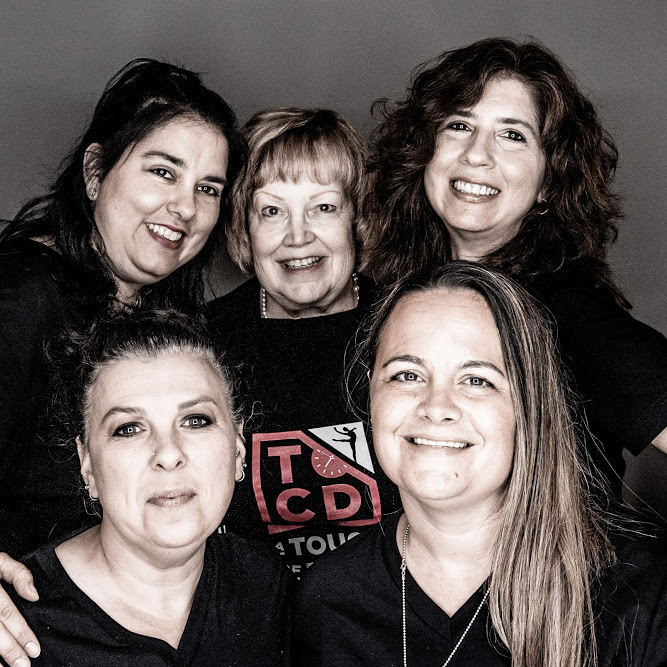 Since TOCD was truly Debi’s second home and family, it only made sense for her to jump on board and become Business Partners with Debbie Apalucci. 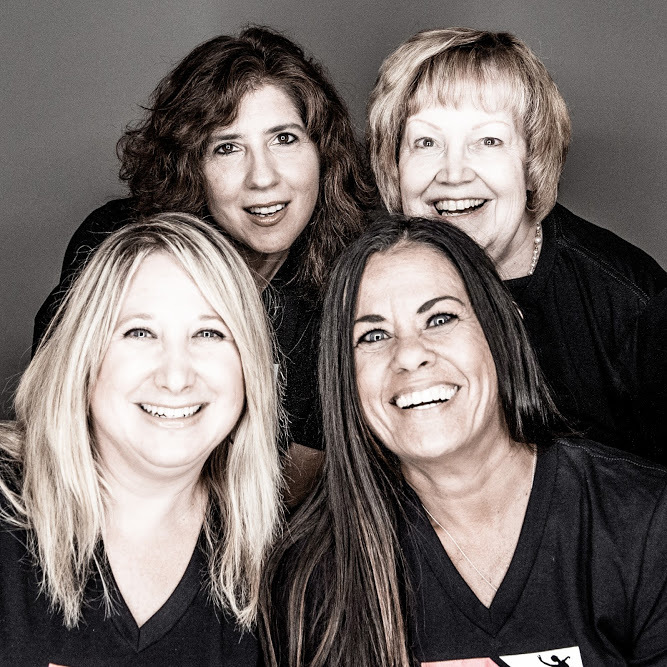 This strong unity has been successful for 25 years and will not stop anytime soon., and Joe By immersing herself in the dance community, Debi strives to provide her students with a broad range of movement spanning from “old school jazz” to current day “contemporary jazz”. One of her other passions is teaching tap. Debi loves mixing complex rhythms, musicality and fun. Aside from teaching classes in both the Broomall and Downingtown locations, Debi directs the studio’s community service program, “Dancertainers”, and the TOCD Performance Team. Her background in both dance and education has allowed Debi to become an extremely accomplished teacher in Delaware and Chester County. Debi choreographed for the award winning South Philadelphia String Band, the Junior 76ers Dance Team, and the TOCD Competition Company where her work has been nationally recognized at major dance competitions by receiving Platinum, Best Overall, and High Scoring awards. Another major accomplishment includes when Debi, along with the other TOCD directors, received the “Educator of the Year” Award for their dedication and excellence in successfully training of many young talented dancers. Debi lives in Downingtown with her husband who has always been in the background and backstage supporting her career. Her daughter, Jenny Rose, attends the University of the Arts in Philadephia as a Dance Major and Creative Writing Minor. Her son, Marty, is studying at Marymount Manhattan College in New York City as a Dance Major with a concentration in Modern and Choreography. Tara has an B.A. in Education from the University of Delaware and a M.A. in Educational Leadership from Wilmington College. Tara has been dancing with Touch of Class Dance Studio since its birth, 40 years ago and teaching dance for over 25 years! In addition to teaching at a variety of institutions in both English literature and dance, she has performed and competed throughout the United States in national, award-winning dance routines. Tara’s work in dance education and choreography has been extensive, her training and certification includes Broadway Dance Center in NYC, Steps on Broadway, The Vaganova Syllabus, and PBT (Progressing Ballet Technique). 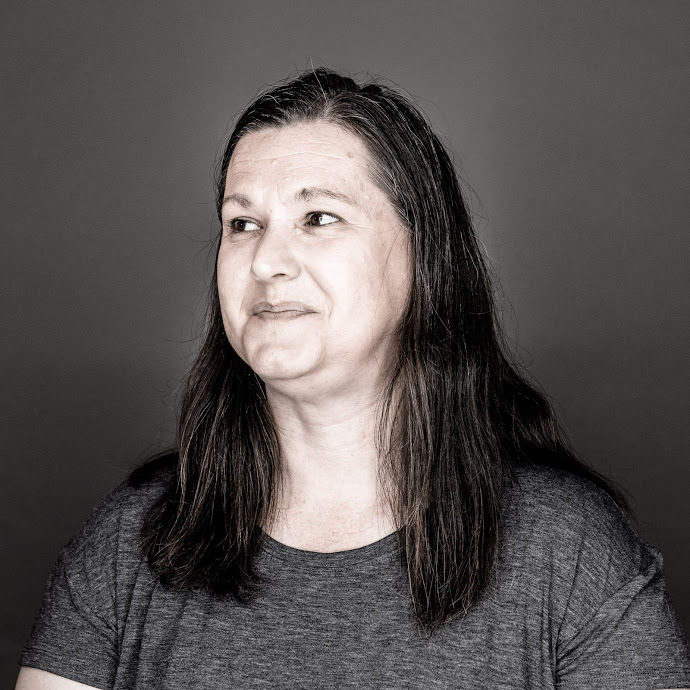 Her extensive background in the education field and with working with troubled teens has provided Tara with an exceptional talent for teaching and touching any student. Tara has choreographed and directed for high school, college, and NBA dance teams throughout the tri-state area for over 2 decades. She has also directed intensive dance education programs for well-known camps throughout the area such as YMCA, ESF, JKST, and The Sixer’s Dance Camps. Tara specializes in creating programs with QUALITY training, cohesive progression, and extensive educational emphasis. Tara has revamped the entire TOCD student curriculum in both ballet and jazz genres, as well as updated, instructed, and maintained TOCD’s in-house TTP (Teacher Training Program) syllabus/program. Tara has created and organized the well reputed TOCD Summer Intensive and TOCD Ballet Boot Camp programs. Tara currently is the owner and director of CAMP CREATE, an improvisational camp, which is extremely unique in the Philadelphia and surrounding areas. Tara has been responsible for the growth and progress of the TOCD Company program and the TOCD Talent program. Tara has taken TOCD to the next level both technically and artistically. She has linked the professional world to the studio world for the TOCD students. She is known for her intense technical training, her professional preparation training, her meticulous attention to detail in the classroom and her ability to utilize multiple methods of education to bring excellence to any student she instructs. Tara believes in the TOCD #alwaysbelearning mission, as she is constantly taking classes and evolving herself as an educator and encouraging her students to follow suit. Her TOCD Company choreography and training has been regionally and nationally recognized and ranked overall in the country’s top dance competitions, and her English Literature background lends an interesting and creative flair to her concepts. Lina McMenamin has been a teacher/choreographer in the Tri State area for the past twenty-five years, and the ballet/modern director at TOCD. Her mission is to motivate students through technique and performance quality. Lina studied the Vaganova Syllabus with Margarita De Saa and John White of the Pennsylvania Academy of Ballet. She studied Modern and Contemporary Movement with Betty Jones, Pat Brown, Donald McKayle, Shimon Braun, Susan Hess and Terry Beck. During her career as a dancer, Lina performed nationally and internationally with groups such as Terry Beck Troupe, Philadanco, Humphrey Dance Ensemble, Waves Jazz Dance Company, Philadelphia Civic Ballet, and the Pennsylvania Ballet Society. 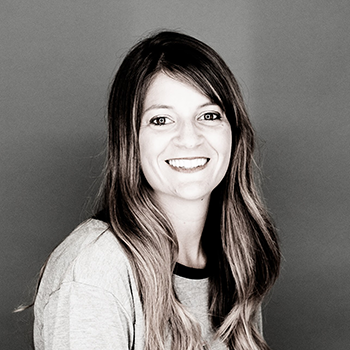 Lina is also the artistic director and founder of Opus 1 Contemporary Dance. She believes when you enter a space with your students, there’s instantly a give and take atmosphere that begins. She creates a class where in addition to the technical portion, imagination and freedom of movement occur. In addition to TOCD, Lina has taught ballet, jazz, and modern dance for the Pennsylvania Academy of Ballet, Brandywine Ballet, Bryn Mawr College, Drexel University, Temple University, West Chester University, and The University of Pennsylvania. Tara Armento grew up as a competitve gymnist and worked at her family business, Metzlers Gymnastics, for the past 20 years. During this time, Tara coached children between the ages of 3-18. These athletes have won State, Regional, and Regional titles as well as full collegiate scholarships. Tara has worked alongside her mother, Pam Metzler, to choreograph gymnast competition floor routines for the past 15 years. She enjoys working with the younger tumbling students and is a welcome addition to the staff this season! Tim currently shares duties as co-director of the Philadelphia based modern company Opus I Contemporary. In addition to working with many choreographers including Roni Koresh, Matthew Neenan, Scott Jovovich, Charles Anderson, Eva Gholson, Terry Beck, and Christopher Flemming, he continues to perform with the Brandywine Ballet and Pennsylvania Academy of Ballet. He has been on faculty at Mount Holyoke College, Lafayette College, Moravian College, West Chester University, and currently Temple University. Since 1999, Tim Early has headed the dance department at the Performing Arts Institute in Wilkes-Barre, PA. Tim is trained in ballet, modern and jazz and enjoys a full-time teaching schedule. Tim and his wife Christine have two beautiful daughters and in his spare time he is an avid photographer and loves riding his bike. Jennie Dillon Heneks is an instructor, TOCD Competitive Company choreographer and coach, and TOCD’s Social Media and Marketing Director. Jennie has been with Touch of Class Dance Studio since she was 6 years old and has been an instructor since 1993. During her teens she also spent time studying at Broadway Dance Center and Steps on Broadway with teachers such as Frank Hatchett, Sheila Barker and Joe Lanteri. She went on to work professionally while getting her bachelor’s degree at Saint Joseph’s University in Fine and Performing Arts. While at SJU, Jennie was a member of Opus 1 Contemporary Dance Company, studied dance at Temple University and spent 4 years with the Sixers Dance Team where she was privileged to dance with Pink, Destiny’s Child, Will Smith, Ludicrous and Jermaine Dupree. She also had the opportunity to work for MTV, NBA’s All-Star Events and the USO touring company. Jennie also continued with Opus 1 Contemporary Dance Company until welcoming her first child in 2008. She is now the mom of 2 wild boys who are both also students at Touch of Class Dance Studio – of course! In 2015, Jennie joined TOCD as a full-time staff member and in addition to being behind the scenes on social media and marketing, you will also see her buried under piles of costumes or zipping around managing backstage at the recital. Just like TOCD, Jennie always has something going on!! Alicia Leahy is a graduate of Cabrini College with a Bachelor’s Degree in Internet Computing. She is a full time employee at SAP as a Project Manager but still finds time on nights and weekends to teach at Touch of Class. Her dance training and teacher training courses were completed at Touch of Class under the direction of Debbie Apalucci. While in college, Alicia directed and choreographed the Cabrini dance team. She continued her passion for dance after college and was the coach and choreographer for the Junior Sixers Dance Team for 6 years. Gina has been a member of the TOCD family for the last 30 years: first as a student and then a teacher. Growing up, Gina participated in the Dancertainer Program, the Nutcracker performances and traveled with the Competition team. Gina participated in teacher training program at TOCD and her passion for teaching has never waivered. Gina received a BS in Education from Cabrini College, a Master of Education from Cabrini College and a Master of Instructional Media from Wilkes University. Gina is currently teaching at Sabold Elementary School is Springfield, Delaware County. Gina’s goal as a dance instructor is for students to have fun in a structured environment, learn the basics of dance and gain confidence in their performance. She is a valuable member of the faculty along with being a wonderful wife and the mother to two adorable children. Christine has been a part of Touch of Class Dance Studio since its inaugural year in 1978! She studied ballet, jazz and tap under the direction of Debbie Apalucci and was one of her first instructors. During her dancing days at TOCD, she was an award winner at regional and national competitions. After graduating from high school, she left the studio for a few years to follow her dream of dancing professionally. She performed in many industrial and professional shows while working with The Hot Foot Agency. She was chosen as a member of the Philadelphia Sixers Dance Team and was the captain for the three years she was on the team. Her favorite moments as a Sixer Dancer were performing in various music videos and appearing in the 1997 NBA play station video game. Even after retiring from the team as a dancer, she continued to work as a director and teacher at the Sixers Dance Camps in the Delaware Valley. Always interested in business, she also worked as a project administrator for Proconex, Inc. where she provided administrative support for pharmaceutical companies. When the Downingtown studio opened in September 2008, she returned to TOCD as a full-time employee and combined her amazing dancing and business skills as an instructor and office manager. Christine remains an integral part of the TOCD staff. She wears many hats at the studio including that of the accounts receivable manager for both studios, tumbling instructor, customer service guru, and facilities manager. She has three amazing children: Matthew, Kirsten, and Michael, and enjoys spending her free time at home with her family. Heather Holajter started dancing at Touch of Class Dance Studio at the age of 4. She continued studying ballet at Pennsylvania Academy of Ballet and was accepted into the Society with Margarita de Saa and John White. Heather also received a scholarship to study with David Howard in New York City. Heather’s professional career began at age 19 with Colorado Ballet, dancing soloist and lead roles in various classical works, including Serenade and Swan Lake. In 2001, she returned to the area and began teaching and performing with PAB and First State Ballet Theatre. Heather continues as a guest artist in various roles, which include Sugar Plum for Christopher Fleming and PAB, as well as performances throughout the region, country, and world. She has also completed the teaching certification for the Vaganova Syllabus. For the last eight seasons, Heather has returned to TOCD to teach and is excited to return to the studio where she first experienced her love of dance. She looks forward to giving her students the same opportunities she received when she first started at TOCD. Casey grew up dancing at the studio and has been a apart of the TOCD family since the age of 2. She was a member of the competition team, TTP program, Dancertainers, and Nutcracker. Casey graduated from Bloomsburg University as a Mass Communications Major and Dance Minor. There, she was a part of, and captain of, the Dance Team and Dance Ensemble. As a graduate she is a Visual Marketer and freelance Sports Photographer along with teaching at the Downingtown Studio. Jenn Rose is a choreographer and teaching artist based in Philadelphia and New York. She has been called upon to help shape the physical story for theatre companies such as 11th Hour Theatre Company, Arden Theatre, Two River Theatre, Theatre Horizon, Media Theatre, and the Walnut Street Theatre. Her work has been recognized with 2 Barrymore nominations, funding from the Joyce Theatre, two Broadway World Philadelphia awards, and rave reviews for her successful collaborations on the original works: Around the Corner, Untitled Project 213, and Your AtTENtion Please! She continues to share her love of movement with several theatre and dance institutions. Chelsea Polson has had extensive experience in both performance and educational realms of the dance world over the years. Raised primarily in Augusta, Georgia, Chelsea began dancing at a young age and over the years has had the tremendous opportunity to train with artists such as Shawn Stevens, Daniel Ulbricht and Maria Korowski [New York City Ballet], Matthew Prescott and Michael Blake [Joffrey Ballet], Desmond Richardson and Brian Chung [Complexions], Misty Copeland [American Ballet Theatre], and many more. She went onto dancing on a collegiate level at Belhaven University, where she received a Bachelor of Arts in dance in 2014 with a specific focus and interest in dance education, kinesiology, and anthropology. Chelsea was involved in numerous dance performances at Belhaven University and had the opportunity to perform in historical works including Martha Graham’s Panorama, George Balanchine’s Serenade, and Michel Fokine’s Les Sylphides. Chelsea has spent two summers in Europe, performing in Kandern, Germany and Bobbio Pellice, Italy, and working with numerous artists, dancers, and choreographers, most notably, Basel Ballet in Switzerland. Chelsea has spent multiple summers in Manhattan working as a chaperone for the Joffrey Ballet and has also worked as a Resident Supervisor for the Rock School of Dance Education’s summer program. She has worked on projects such as Get On Up (2014), and most recently, Creed II (2018). Chelsea is a certified Pure Barre Fitness instructor (you can find her at Pure Barre Ardmore!) and has been most recently certified in the Progressing Ballet Techniques method, which is a unique conditioning program to strengthen ballet dancer’s muscle memory and provide students with a deeper understanding of their alignment, core stability, and turn out. Chelsea belongs to a non-profit dance company called Pages To Pirouettes, which condenses full-length classical ballets and brings them to churches, nursing homes, special- needs communities and libraries in the greater Philadelphia area. When she’s not at the studio, Chelsea enjoys baking, and hiking with her husband Ethan and their two dogs. Kimberly, more commonly known as Miss Kimmie, started dancing at Touch of Class Dance when she was three years old. Over the years, she has developed friendships that will last a lifetime at TOCD, her home away from home. As a dancer, she participated in Dancertainers, The Nutcracker, Competition Company, completed the TOCD Teacher Training Program and began teaching classes. A graduate of Cabrini College with a BS in Elementary and Early Childhood Education, Kimberly has been an educator all of her adult life. She also received her Masters of Education and Reading Specialist Certification from Cabrini, and teaches fourth grade at Sabold Elementary School in Springfield. As the director of the Preschool Program, Kimmie loves teaching TOCD’s youngest students, because she can share her love of dance with them. She wants them to enjoy class, gain confidence, and learn the foundations of jazz, ballet and tap. She hopes that dance will give them the same enjoyment that it has brought her over the years. This year, she is excited to bring her three-year-old daughter into the Touch of Class Dance family. Miss Kimmie was awarded “Teacher of the Year” for 2016 TOCD season. Wonder Amanda Lawrence began her dance training at the age of 6 at Touch of Class Dance Studio. At TOCD she was a member of the Competition Team and had the privilege of taking class from many prominent dancers and choreographers such as Brian Friedman, Tyce Diorio, and Kenny Wormald. She attended the "Young Performers Theater Camp" in Philadelphia, and was a member of the Philadelphia 76ers Junior Dance Team. Wonder graduated from The University of the Arts with a Bachelor’s degree in Jazz dance. While there she was able to hone and nourish her passion for dance. Roni Koresh, Virgil Gadson, Kim Bears Bailey and Zane Booker were a few of the instructors who helped Wonder to reach her highest potential. Wonder has had the opportunity to learn and perform work by world-renowned dancer/choreographer, Anthony Burrell. She performed alongside Beyoncé during the 2016 VMA’s and is signed to a prestigious talent agency located in New York. Wonder has choreographed for the Philadelphia 76ers Junior Dance Team, Dacav5, Philly Phresh Crew, Ebony Joi and students at the International Academy of Ballet. After college, she moved to Los Angeles to learn from the best of the best and perfect her craft. She is now learning, choreographing and performing. She has created many award-winning pieces and is inspired by all things art. Above all things, being a mother is her passion and motivating force. Todd became entranced with the hip-hop scene at the age of 19. He devoted the majority of his time to training under Andreas Johnson and Versatile Entertainment. Obtaining a degree in Physics Education at the University of Delaware, Todd discovered the opportunity to combine his passion for education with his love for dance. Todd continues to enjoy a life of performing and choreographing. He has worked on projects such as Silver Linings Playbook, BET 106 & Park, MTV’s PromPosal, University Dance Teams, as well as local and international education building and performances. In addition, Todd finds himself enjoying being an entrepreneur and philanthropist. He currently is the co-owner and co-director of Beat Addiks United, The Werkshop, and the founder of DelAWAREness. Alyssa Sand has a B.S. in Physical Education from Illinois State University. She is a member of USA Gymnastics with Safety and Instructor Certifications. In Jacksonville, NC, Alyssa coached gymnastics for 3 years at Step Ahead Gymnastics and Dance. She was a lead instructor for several beginning/intermediate classes, and an assistant coach in specialty and advanced classes. Alyssa was a Marine Corps spouse for 18 years. During those years she spent most of her time taking care of her family. Additionally, she volunteered with Marine Corps families as a Key Volunteer and worked for the Department of Defense Education Activity school system as an educational aide and substitute teacher. Alyssa worked as a Physical Education teacher in Virginia Beach, VA and Lawton, OK and also coached tumbling. Upon her husband’s retirement from the Marine Corps, she and her family moved to Pennsylvania to be closer to their family. Alyssa is currently a literacy aide at Uwchlan Hills Elementary School in Downingtown. Alyssa has been married for 20 years and has 4 children: Jourdan, Isabella, Ainsley, and Jack.